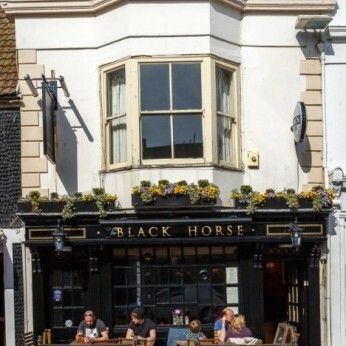 We're situated in the heart of Brighton's cultural quarter, opposite the corn exchange, just steps away from the Brighton Pavilion, Brighton Dome and Theatre Royal. You'll receive the warmest of welcomes and experience a truly vibrant and traditional atmosphere with the feel of a classic victorian pub. We are an ideal venue for a pre/post theatre or concert visit, or while away your social time by letting us entertain you. Great food is available lunctime and evenings, or, have a drink in our secret beer garden. All sports events are show on our two large TV screens. We look forward to seeing you.